can enjoy looking at it, playing on it and even entertaining on it. Overseeding is an easy and inexpensive way to vastly improve your lawn. Performed following core aeration with a rotary spreader we will provide you with premium quality seed to enhance your lawn's appearance and durability. 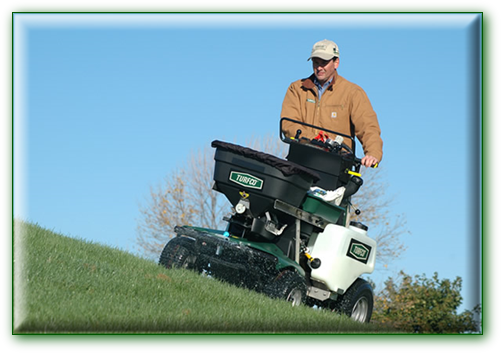 Sliceseeding is done by a machine which slices into the turf, depositing seed. This method of renovation is done when overseeding is not enough to increase the quality of your lawn. Topdressing is a method of applying a thin layer or compost to your lawn, especially after core aeration. It gives the lawn an added boost of organic matter and when broken down by microbial activity, it becomes nutrient rich. season. 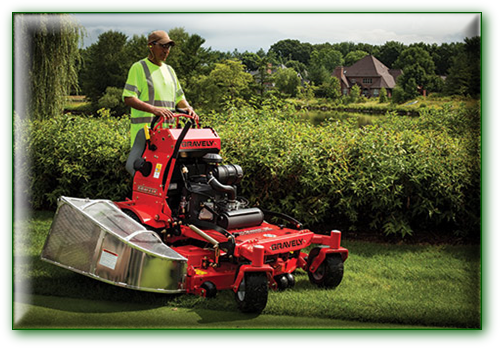 Maintaining a 3" or over grass height is always critical during the hot summer months.There's nothing quite like the look and smell of fresh cut grass! materials available and apply them in an environmentally responsible manner. 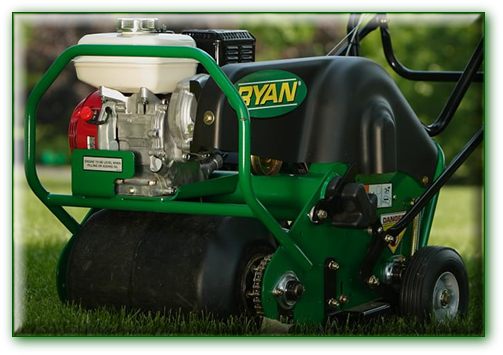 Core aeration improves drainage, relieves compaction, and increases water, nutrient & oxygen movement into the soil. It is very beneficial to aerate your lawn every one to two years and it more than pays for itself in lawn health and appearance. Don't worry, the plugs and holes disappear within a week of the core aeration, quicker if it rains or the lawn is watered.